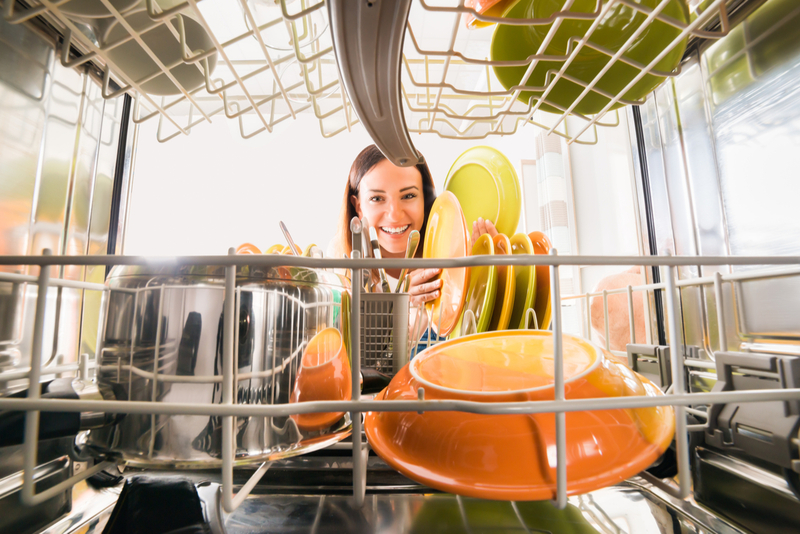 Don't rinse food particles from dishes before putting them in the dishwasher. If you do, the detergent won't have anything to cling to and your dishes won't get as clean. There’s also a major environmental factor to consider. One mind-blogging statistic from Consumer Reports states that the average person wastes 6000 gallons of water a year by pre-rinsing. Most dishwasher machines use just 3 to 5 gallons of water per load, while the average person uses about 27 gallons when washing dishes by hand, according to The National Resource Defense Council.